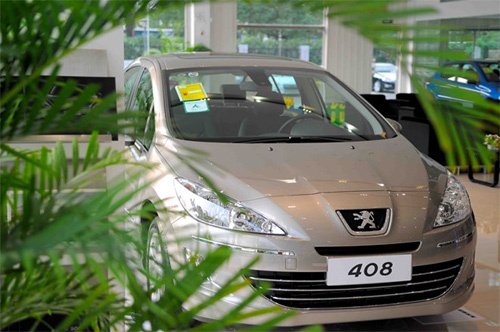 Vietnam’s stable economic growth rate and improved business and investment environment over a long period has enticed French big corporations to invest or expand their projects in Vietnam. The viewpoint was agreed by participants at the Vietnam-France Business Meeting that took place on July 24 at Vietnam’s Embassy in France. The meeting was organised on the sideline of the Fourth High-Level Economic Dialogue between Vietnam and France with the attendance of leading French corporations like Airbus, Alstom, ADF, EDF, Areva, La Poste and Vietnamese businesses like FPT and Viettel. Speaking at the meeting, Vietnam’s Ambassador to France Nguyen Ngoc Son said the Vietnam-France relationship has been further expanded since the beginning of 2016 with visits of French President of the National Assembly Claude Bartolone and French Minister of Defence Jean-Yves Le Drian. 2016 will also be marked by two big economic events: the Fourth High-Level High-Level Economic Dialogue in Paris, the Vietnam-France Decentralised Cooperation Conference in Can Tho city in September and the Vietnam-France Business Forum in HCM City in October. French President Francois Hollande’s visit, which is scheduled to take place in September, is expected to become a boost for the development of a persified, deep and comprehensive relationship between Vietnam and France, further promoting the Comprehensive Strategic Partnership the two countries signed on September, 2013. For his part, Deputy Minister of Planning and Investment Nguyen The Phuong reviewed Vietnam’s economic situation in 2015 and the first half of this year. Phuong said Vietnam has signed many bilateral and multilateral trade agreements, including the Trans-Pacific Partnership (TPP) and the conclusion of negotiations on the European Union-Vietnam Free Trade Agreement (EVFTA). 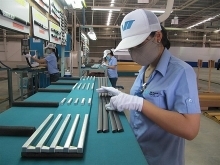 According to Phuong, foreign investors have been pouring money into Vietnam to take advantage of the FTAs when they take effect, as evidenced by Vietnam’s steady increase of foreign direct investment in recent years. 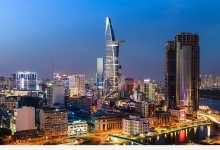 Vietnam is also perfecting legal corridors for investment and business with the introduction of the modified Law on Investment and Business 2014, the Law on Bidding 2015 as well as focusing on reforming administrative procedures. At the meeting, French companies introduced their technological advantages and financial capability and indicated they wished to expand their operation or seek new opportunities in Vietnam./.